LHC was commissioned to undertake a major regeneration of a coastal holiday village at Millendreath, near Looe, Cornwall. 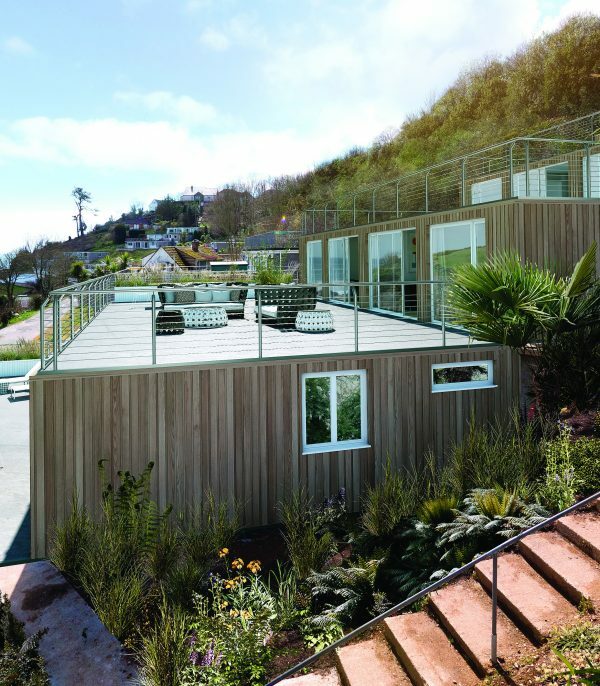 1960’s holiday villas are being transformed both aesthetically and environmentally with internal remodelling, new extensions, vertical larch cladding, local stone plinths, roof decks with glass balustrades and part sedum roof, and new glazing. 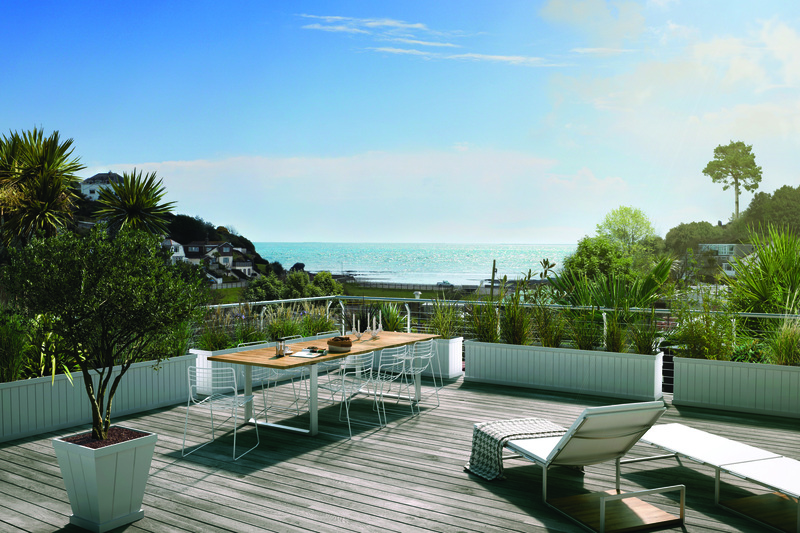 The rolling refurbishment programme has provided improved room sizes and new internal layout and orientation to take full advantage of the fabulous sea views. 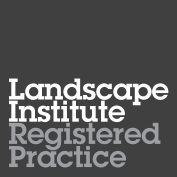 A new, complimentary landscape setting was also designed by LHC. The picturesque valley of Millendreath, located just east of Looe in Cornwall, first developed into a holiday destination during the early 20th century. Between the 1960s and 1980s it underwent a huge transformation with over 170 holiday villas being built throughout the valley floor and stepping up the hillside in terraces. These were constructed using rudimentary construction techniques, with virtually no insulation and many with full storey retaining walls to the rear. After many years of occupation most were in a poor state with extensive damp problems, leaking roofs and rotten floors. In 2014 the site was taken under new ownership and LHC were commissioned to carry out refurbishment of 34 units. 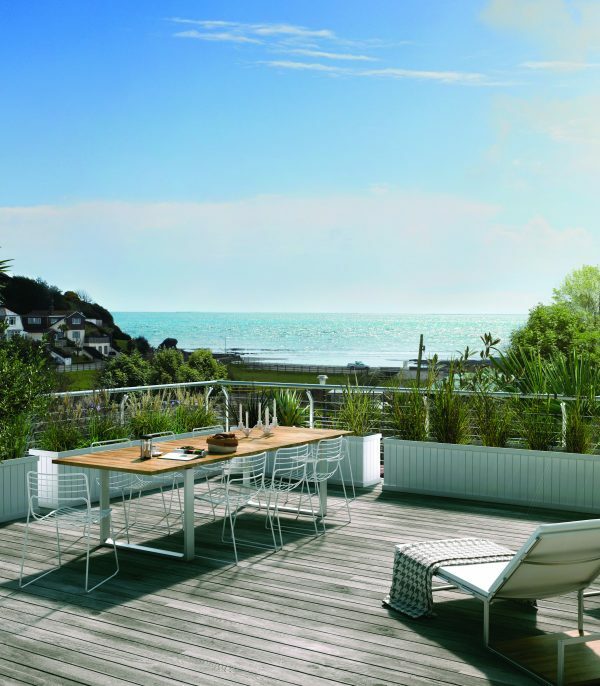 The works included stripping out and investigation works, structural remedial works, insulating, tanking rear retaining walls, new windows, new floors, new roofs, interior fit out, exterior decking etc. The villas were remodelled to provide improved room sizes, internal layout and orientation to take full advantage of the fabulous sea views. 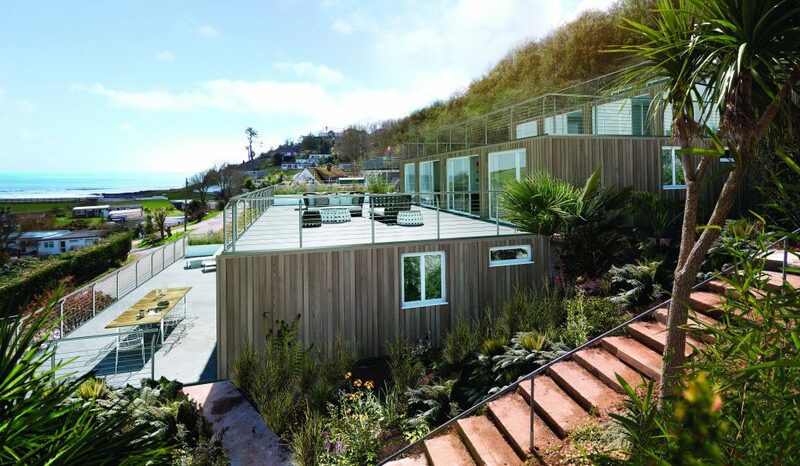 Vertical larch cladding, local stone plinths, roof decks with glass balustrades and part-sedum roof, and new glazing significantly enhance the units, whilst retaining the existing structure. The refurbished villas are more sustainable, with enhanced thermal performance through insulation and thermally efficient glazing. 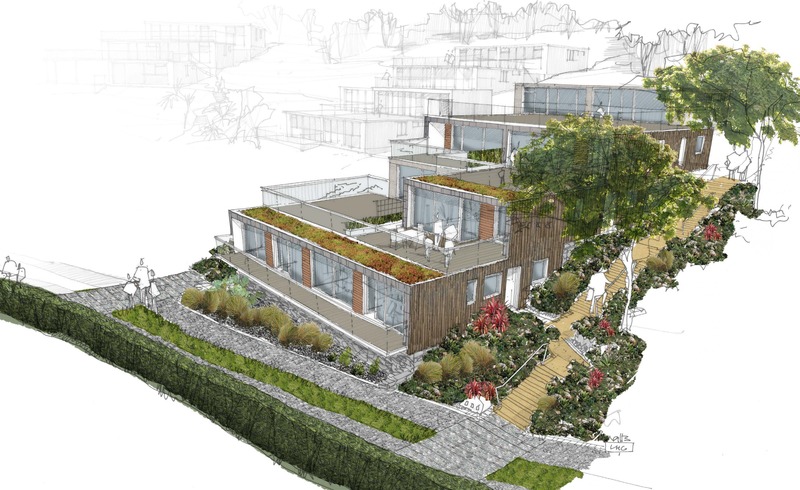 Alongside the villa refurbishment LHC’s in-house landscape team have developed a landscape scheme which responds to the steep topography of the valley and Cornish climate, creating an exuberant, exotic and dramatic setting for the clean, contemporary architecture proposed. 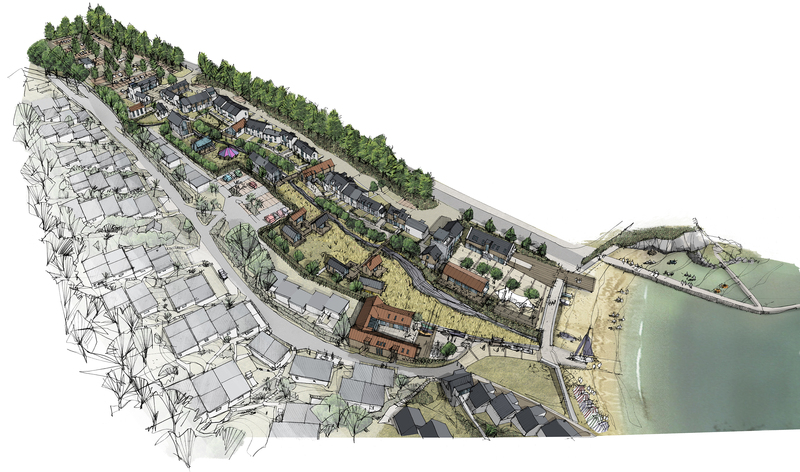 Further phases of this project are currently being developed, including a beach front café, new villas in a wetland setting to the valley floor and a woodland holiday village.